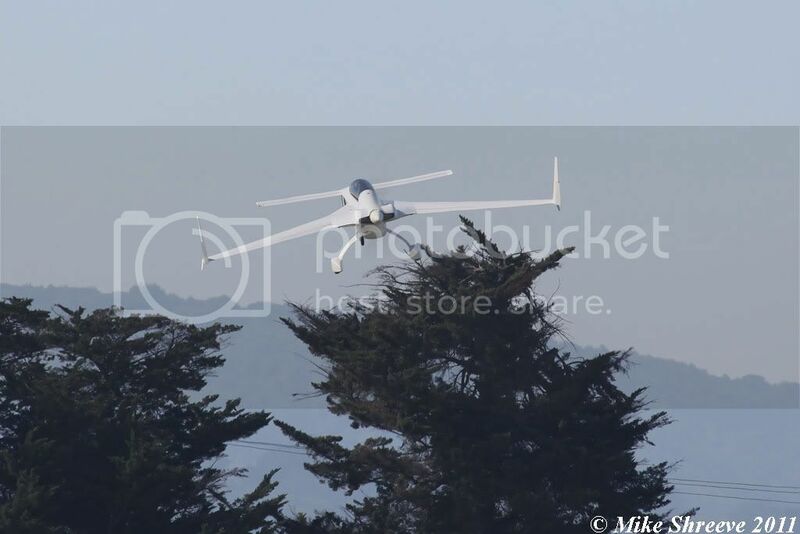 Last Saturday was a nice clear day in northern California, once the early morning fog burned off. 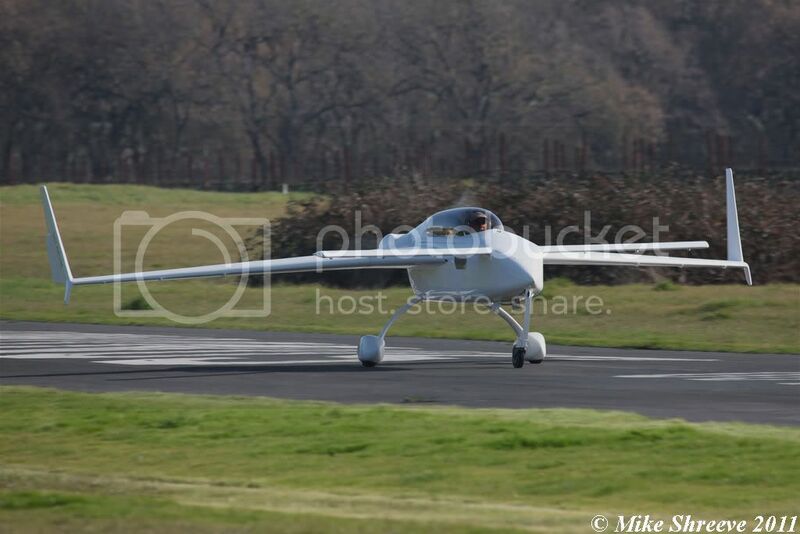 Time to take my usual Saturday trip up to Sonoma's 2 airfields, Schelllville and Sonoma Skypark (all of 3 miles apart!) 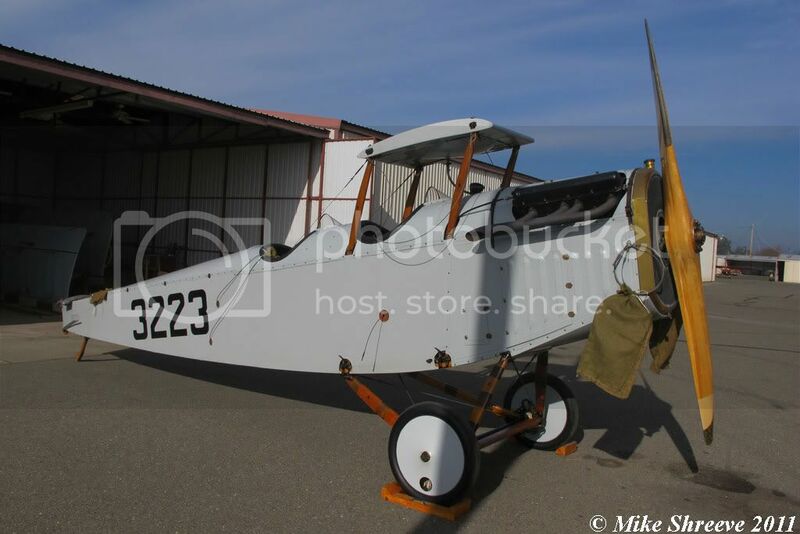 - both of which have a healthy population of warbirds, vintage and classic aircraft. 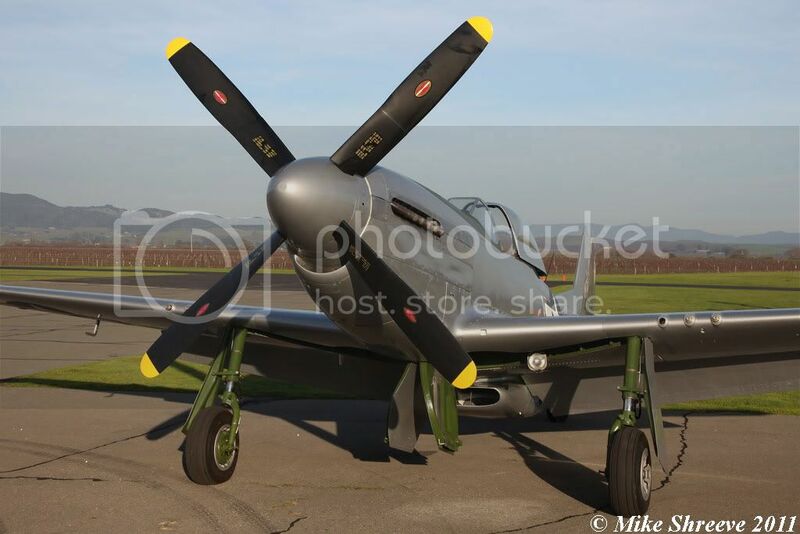 Schelville is home to George Perez' P-51D. 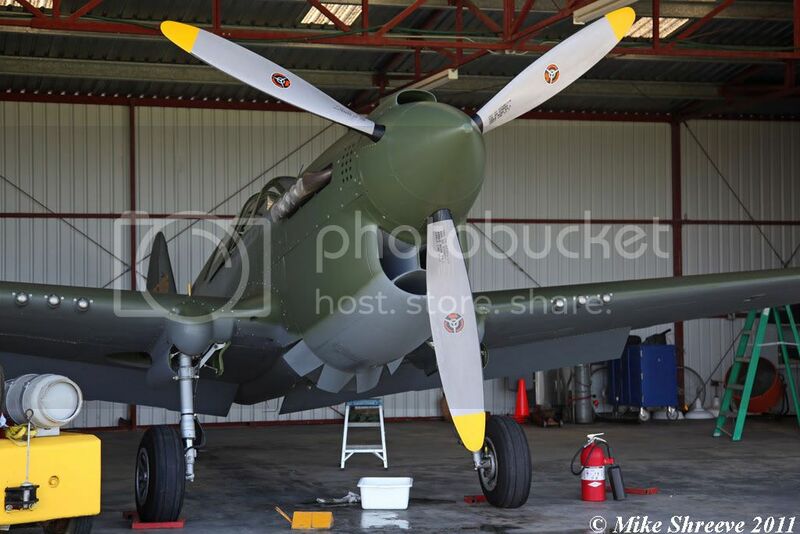 George will be familiar to many of you, as he generally flies the French P-40N 'Little Jeannie' at both La Ferte Alais and Legends each summer. 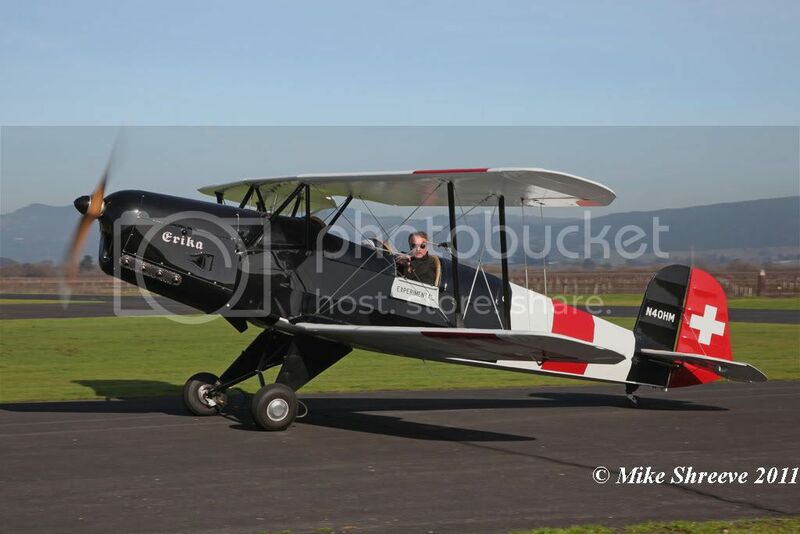 He took his Bucker Jungmann up for a nice aerobatic flight in the morning. 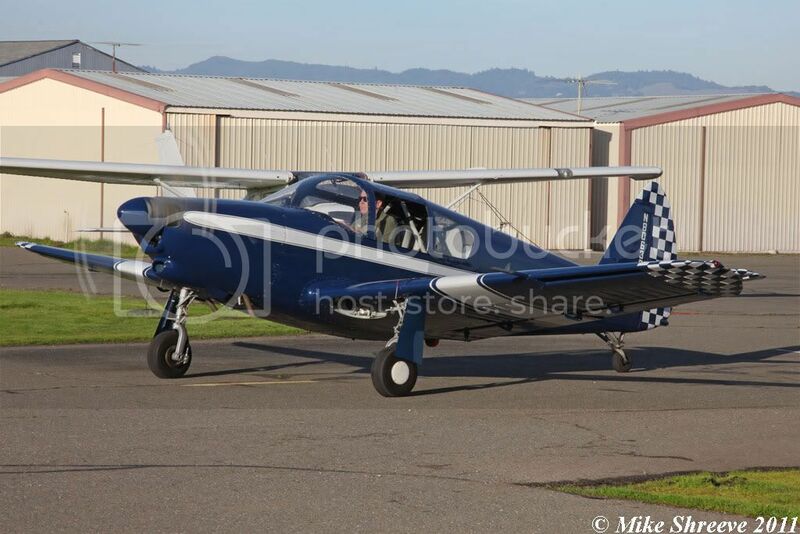 ....and took his beautiful Ryan ST-A up for some aerobatics over the field. 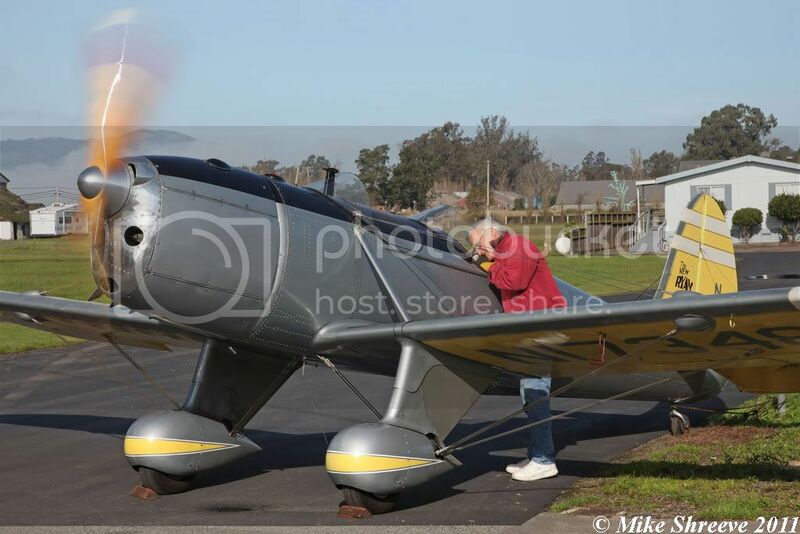 Tom Morris warming up one of the Vintage Aircraft Stearman ride-haullers. 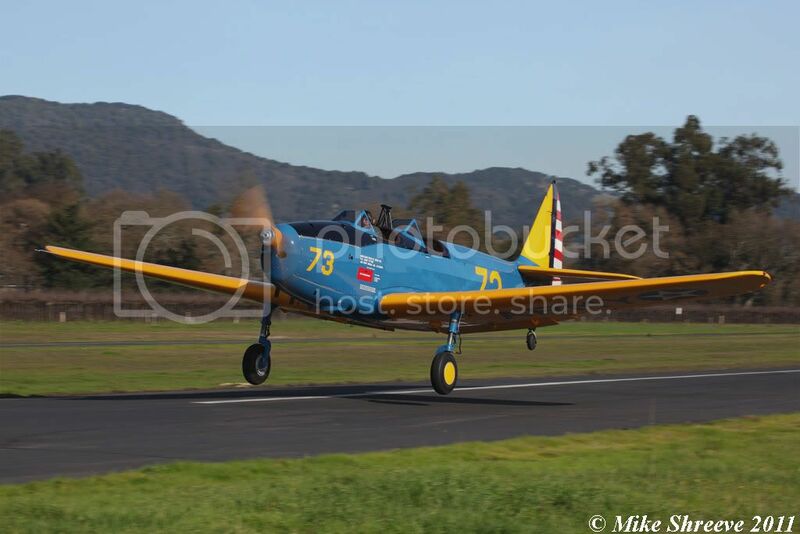 Aaron Johnson's North American SNJ-5. 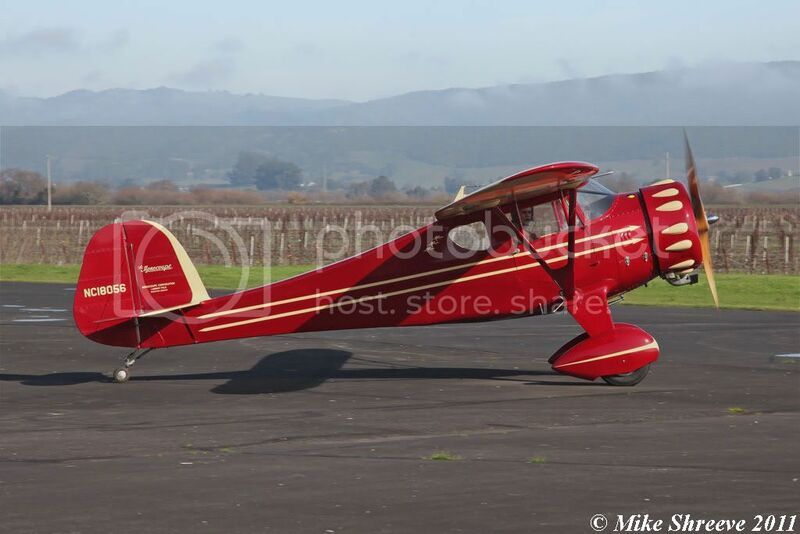 This one sat at Watsonville for many years, and has certainly benefitted from a thorough polish since Aaron acquired it recently. 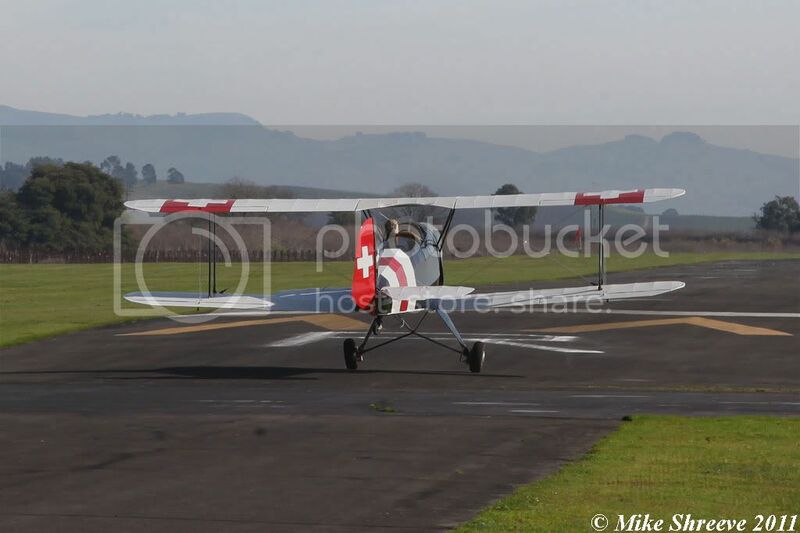 Then it was over to Sonoma Skypark for the regular Saturday burger. They grill there on a Saturday lunchtime - if you're ever visiting San Francisco, it's well worth a trip up, you never know what interesting types will pop in for lunch. 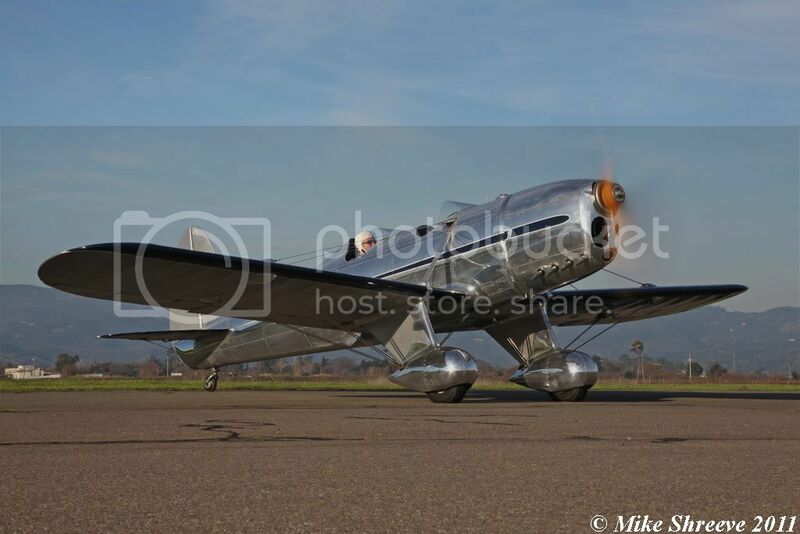 This week, it was this pristine Fairchild PT-19 from nearby Napa. 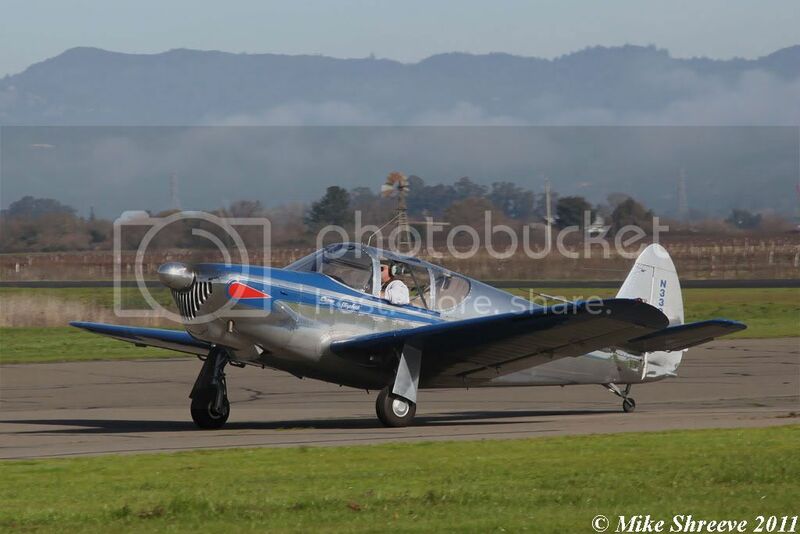 I walked across to the far side of the runway after lunch to catch him departing. 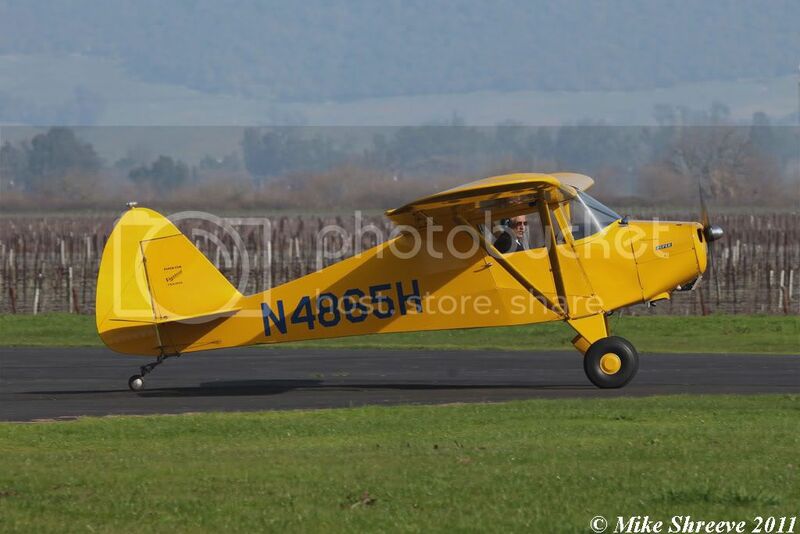 This J-3 Cub also visited for lunch. I hope something in the above was of interest - it gives a flavour of what can be seen out and about on a typical Saturday in Sonoma. Last edited by Mike on Sat 29 Jan 2011, 11:50 am, edited 3 times in total. Very nice set from Northern California. Nice to see blue skies. Looks like you had a great day there. 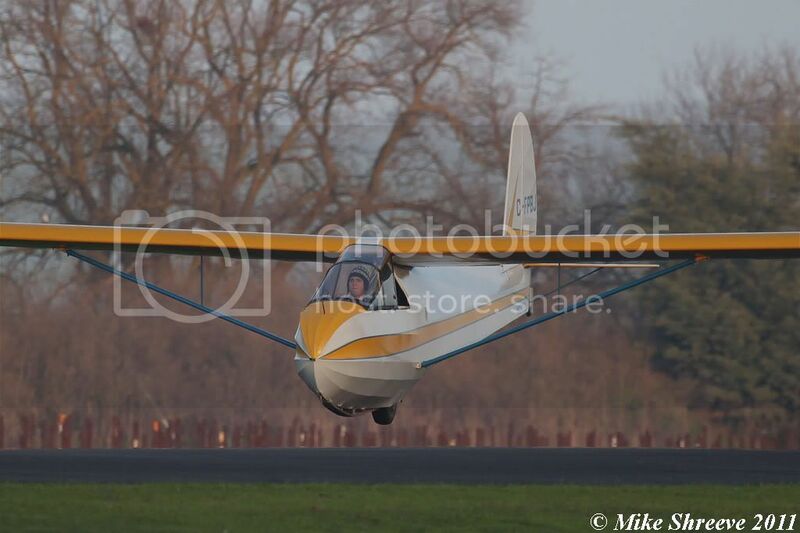 Looks like a perfect way to spend a Saturday, blue sky,warm sunshine and some gentle pleasure flying. You've captured the mood nicely. A fine set Mike. 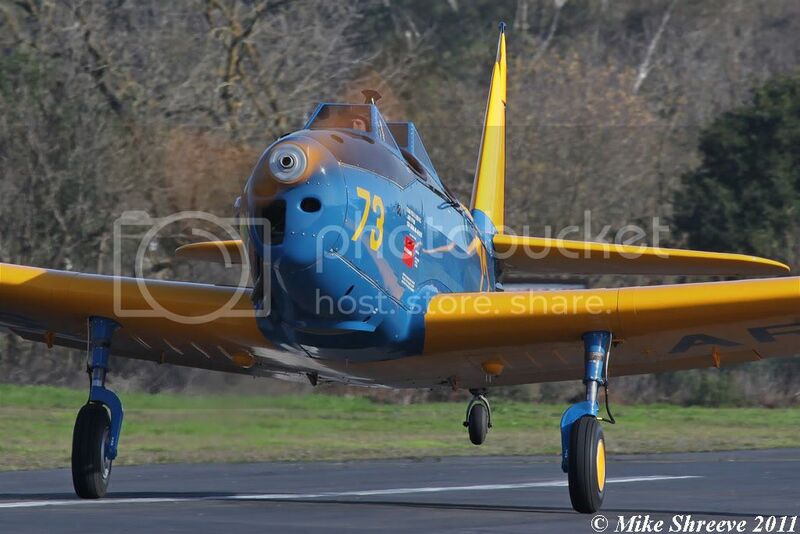 Very nice Mike, good to see some warbirds with a nice clean look like the SNJ-5 and the Mustang. Another week has gone by, and another beautiful Saturday in the valley. Temperatures reached about 70°F once the morning cloud burned off. 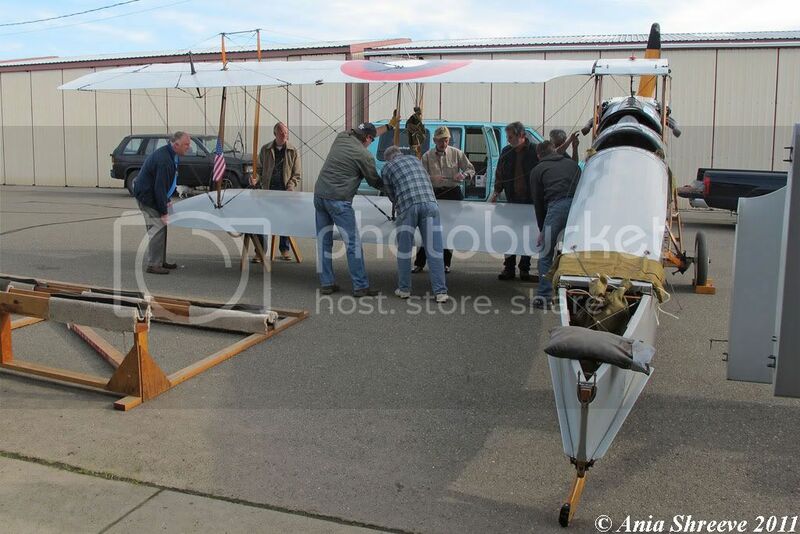 The morning started with a wing removal party for Frank Schelling's 1918 Curtiss Jenny at Schellville. 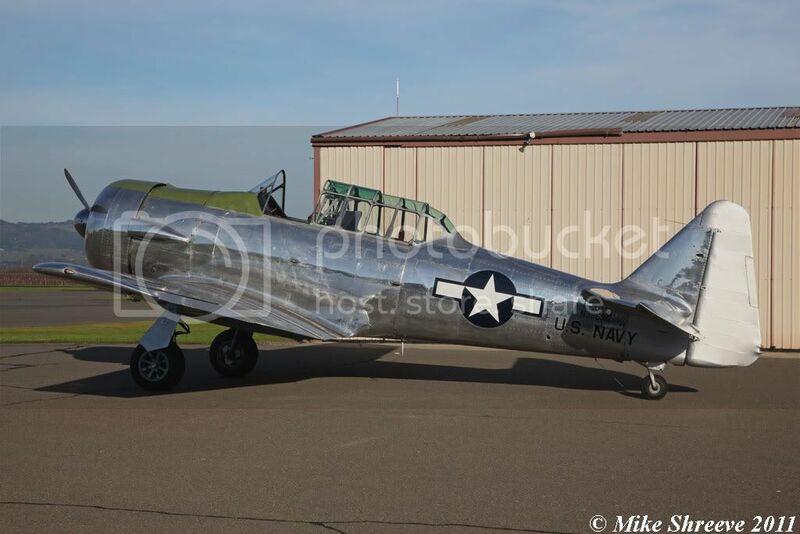 We're taking it down to San Diego for the big Centennial of Naval Aviation event at NAS North Island next month. As it's a round trip of well over 1,000 miles, Jenny will be trucked, rather than flown down there. 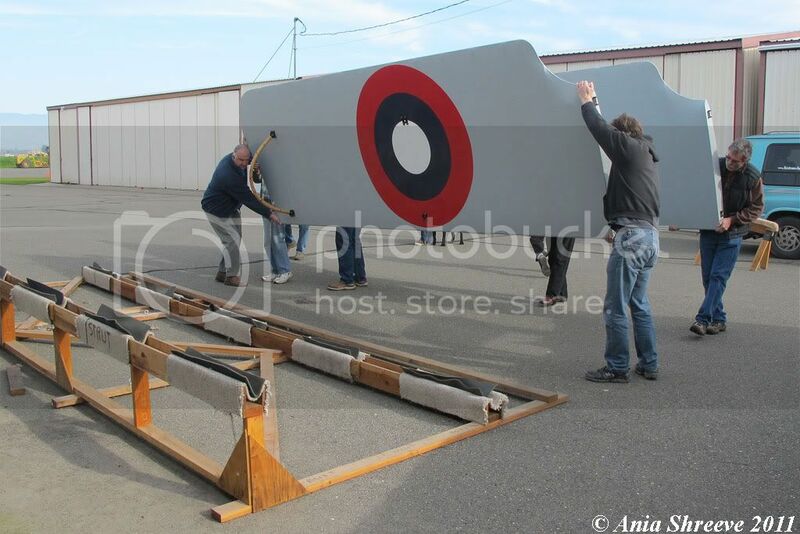 The wings come off in complete sections, and go into specially-made custom cradles for transport. 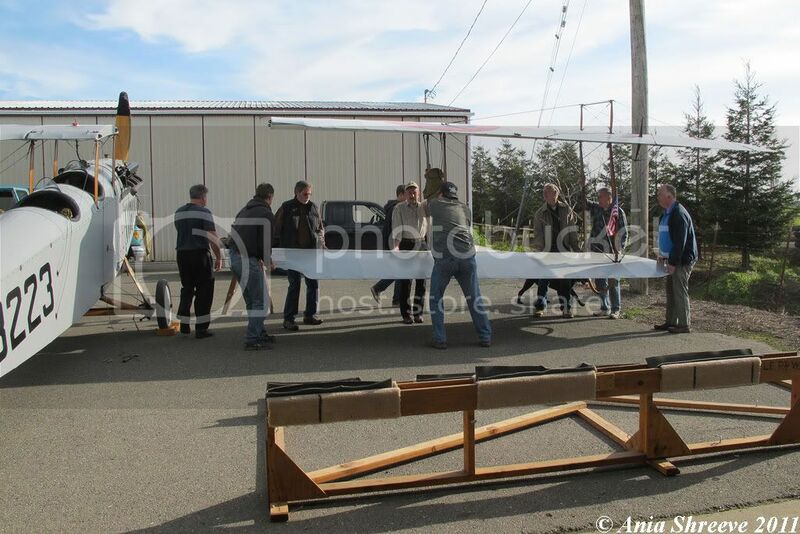 They're quite heavy, and awkward to handle, so around 8 people are required for removal. 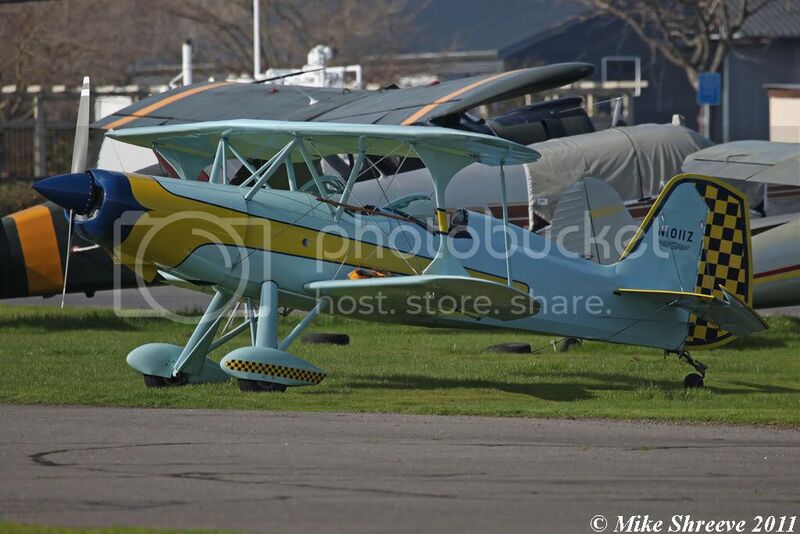 And this nice pale blue Skybolt. Over to Skypark for lunch, where visitors included this plastic picklefork, which seemed to require the curvature of the earth to get airborne. A good job the trees at the end of the runway have been trimmed recently! 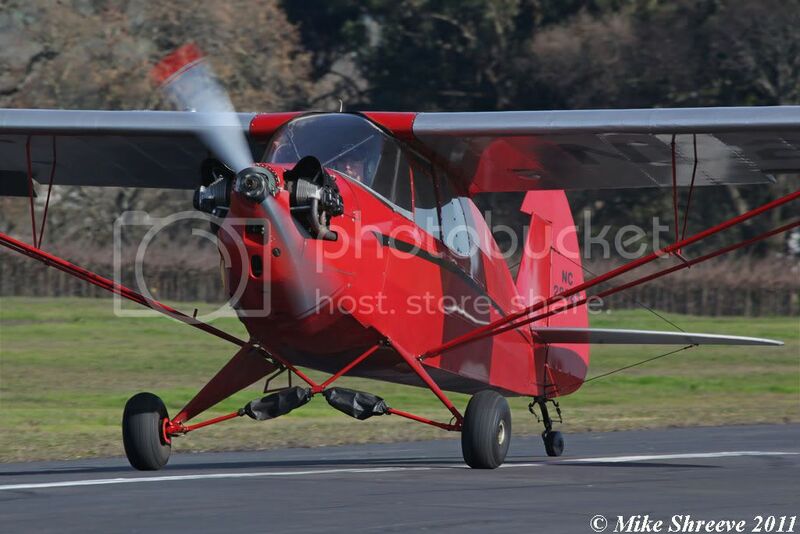 Oh, and congratulations to Eric Presten's son Curtis, who soloed in the family 1946 Schweitzer 2-22 glider last Sunday, a week after his 14th birthday. Any idea what the two A/C in shots 9 and 10 are? 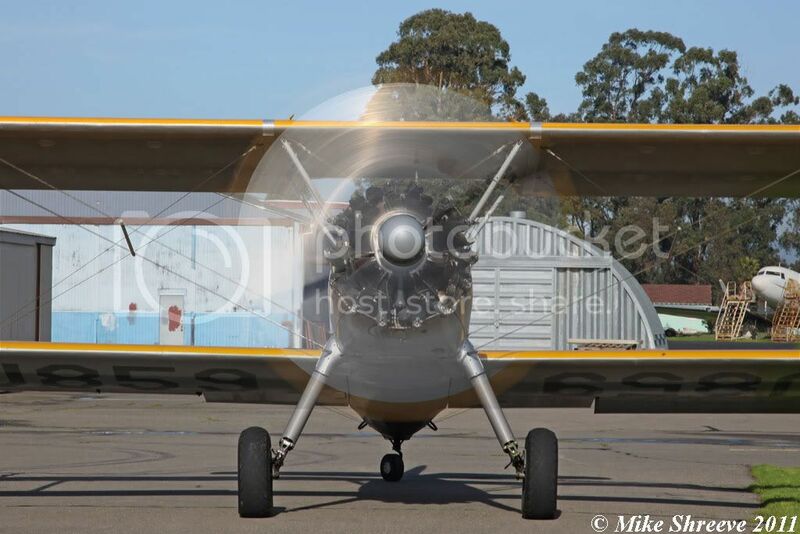 A40-BP wrote: Any idea what the two A/C in shots 9 and 10 are? 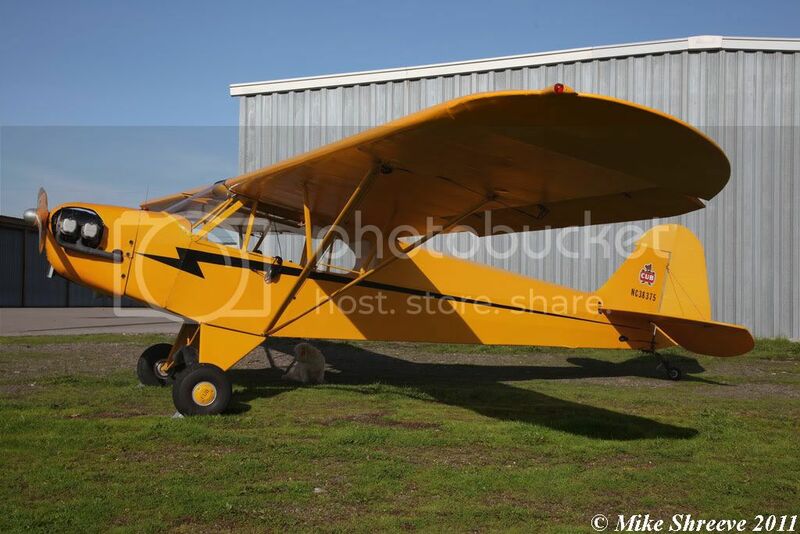 In the US they were making nice monocoque-construction light aircraft like the Swift, Cessna 120, Ryan Navion and the like straight after the end of the war, wheras in the UK we were churning out Austers, and a few wooden Miles products. 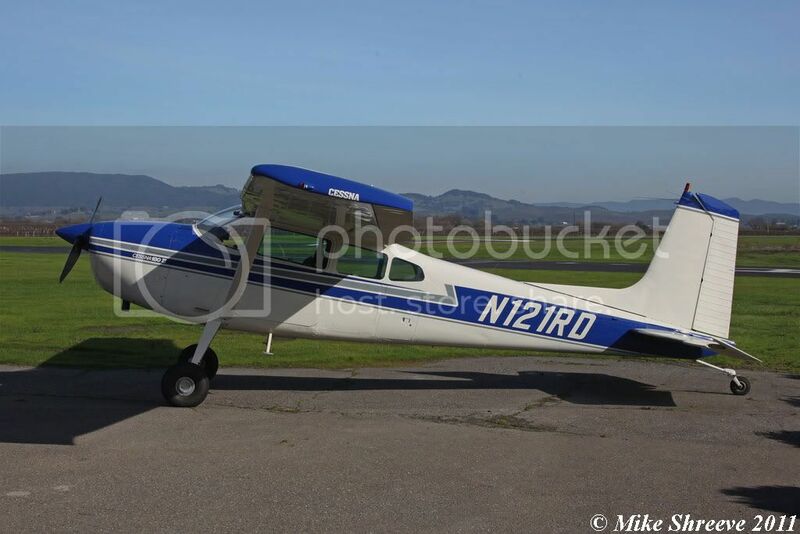 Hence the UK light aircraft industry very soon died off altogether.